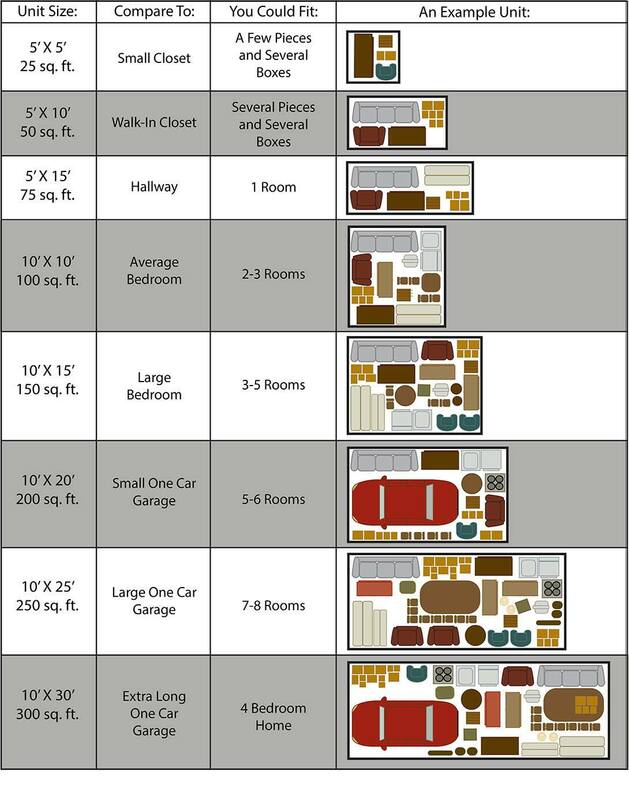 Please use the chart below to help in determining what size unit could be useful for your individual storage needs. "Please note: This chart is meant as a general guideline and not a guarantee. If unsure on sizing, please call our manager to discuss your individual needs or to schedule an appointment to see a unit."